Ah, the beach! The beach is where many of us spend our summer days, just relaxing by the shore with a good book and a cold drink. 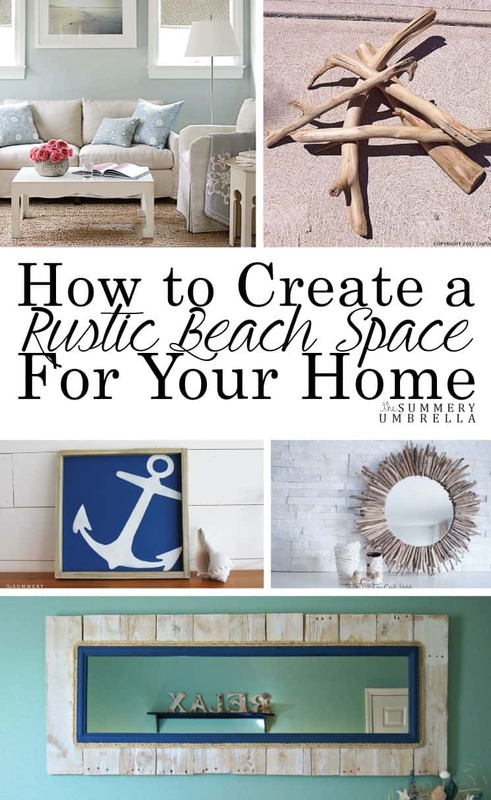 I wanted to find some new and fun ways to bring a rustic beach space in my home, and I think you’ll love this grouping of projects and ideas. When I think of rustic beach decor, I immediately think driftwood. Now, if you don’t live near a beach, getting driftwood can be a bit tricky. However, you can actually make your own! This is a great tutorial on how to do it. How elegant is the starburst mirror? 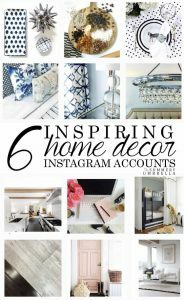 Its popularity started in the mid-century modern era, but we keep remixing it in new ways. Here we go again with the driftwood! I’d want to leave this up year-round. If the starburst mirror isn’t quite your style or you want a long mirror instead, try this Whitewashed Coastal Pallet Mirror. It uses a pallet, and a mirror , and had a cost of about $10.00. Can’t beat that! You can also line the edges of the mirror with some rope for a more rustic feel. Did you know there’s a world of free vintage art out there for the picking at the New York Public Library digital archives? 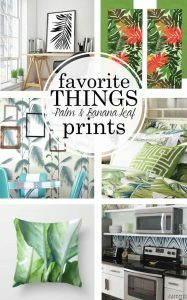 You can download your favorite beach-themed prints, then print it for easy and cheap art for your home. 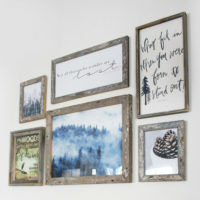 Don’t forget to use a great coastal frame – make a frame out of driftwood or try gluing rope or shells along the edge of a store-bought one! If you haven’t seen my new summer sign collection, you’ll be pleased with the beach theme! 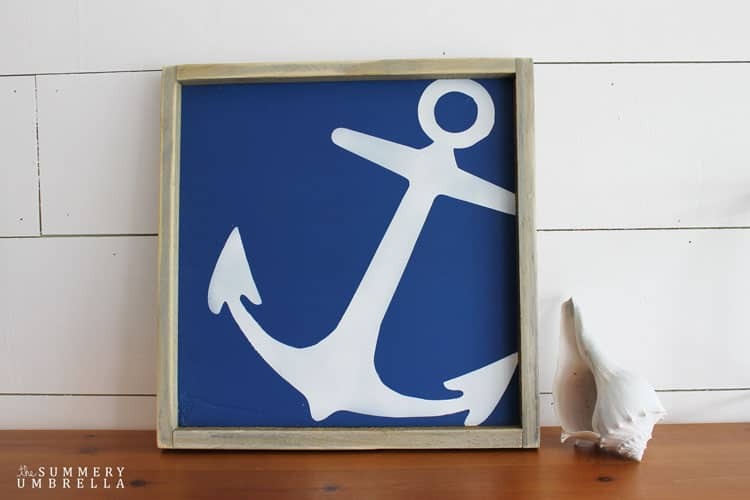 I’ve chosen some of my favorite things about the beach to create the collection, including this anchor sign, which you can get in your preferred color. I’ve written about some of my favorite uses for the ever-popular Mason Jar, but this project features a beach-y twist. If you aren’t thrilled with the idea of filling jars with sands, this is a cool alternative. You can use this with clear or blue jars. 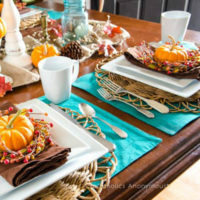 For a little rustic beach decorative touch in your home, you can create vignettes using common beach items. Start with a wooden tray or a blue or silver tray on your coffee table, or simply place your vignette your fireplace mantle or shelf. Try adding a coral or a starfish, followed by some of your favorite beachy reads. Natural fibers such as jute and seagrass add a great rustic beach effect to your home, and also provide a new texture. 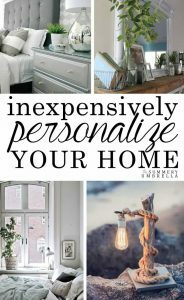 I think that the beach look is one that is timeless, and with a little creativity, you can make any part of your home look like a comfortable beach retreat. 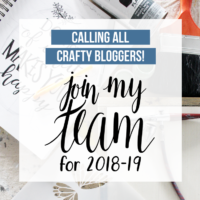 I wish you the best of luck in your crafting and decorating!